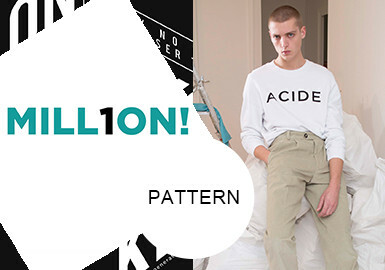 The combination of linear graphics and letters is very popular for fashion brands. For A/W 19/20. 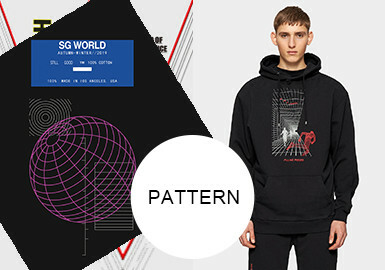 Misbhv, Filling Pieces, Still Good, Kokon To Zai and Armani Exchange all use patterns containing linear graphics and lines. The unique futuristic and spatial feel of linear graphics is impressive, while letters add a layering effect. 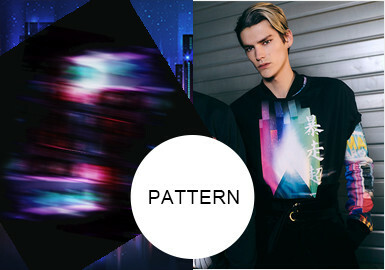 Abstract geometrics are simple yet sophisticated with a deep modern fashion feel. The different combinations of points, lines and planes deliver a harmonious aesthetic. 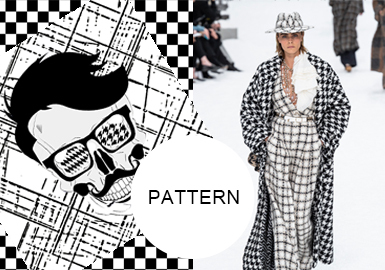 Louis Vuitton, Akris, MaXhosa By Laduma and Imprint at recent catwalks all use lots of geometrics. Simple polka dots are very common on garments. 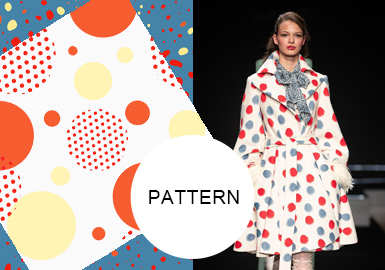 Little polka dots are refreshing, while big ones are striking. The combination of florals and polka dots look more lively, which is suitable for a range of looks. 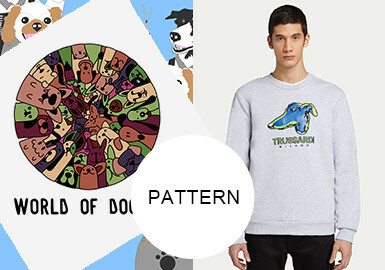 Dogs in different styles provide a range of inspirations for patterns. 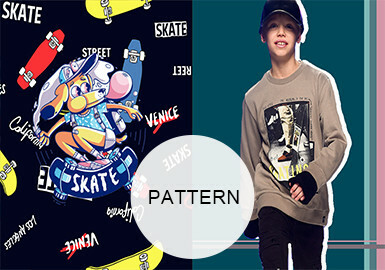 Dogs hold the majority in animal patterns, and the styles are diversified to show fashionable and statement patterns. 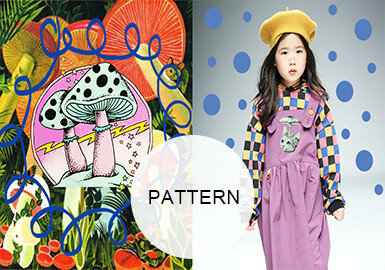 Let's follow BelitaBoys to check these new mushroom patterns. This reports include a range of mushroom patterns. Checks are combined with cool portraits and poster letters to offer a stylish feel. 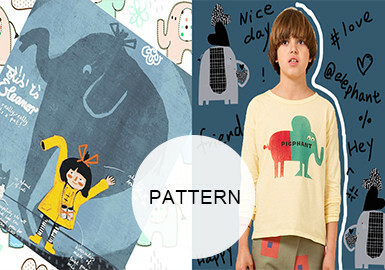 These patterns are fit for fashion brands. 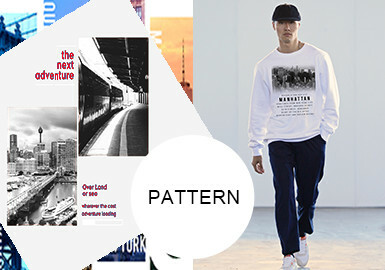 Fashionable patterns include city and natural views complete with letters. Real-life photos and hand-drawn pictures are applied into city views.A range of approaches are used with letters. Letters are very common. The application of letters in different colors and sizes on all parts of items is in line with current fashion. 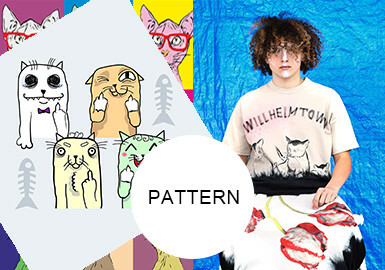 Kitten patterns are the hottest, There are a variety of styles: hand-drawn cats, funky and playful kittens. Flowing light and color are impressive. Nighttime neon in the cities, lines and circles and even outer space all give us the unparalleled experience.